Most of my recipes have been handed down from family or friends, however this is a Meagan Original! This is the easiest recipe and is always a hit! 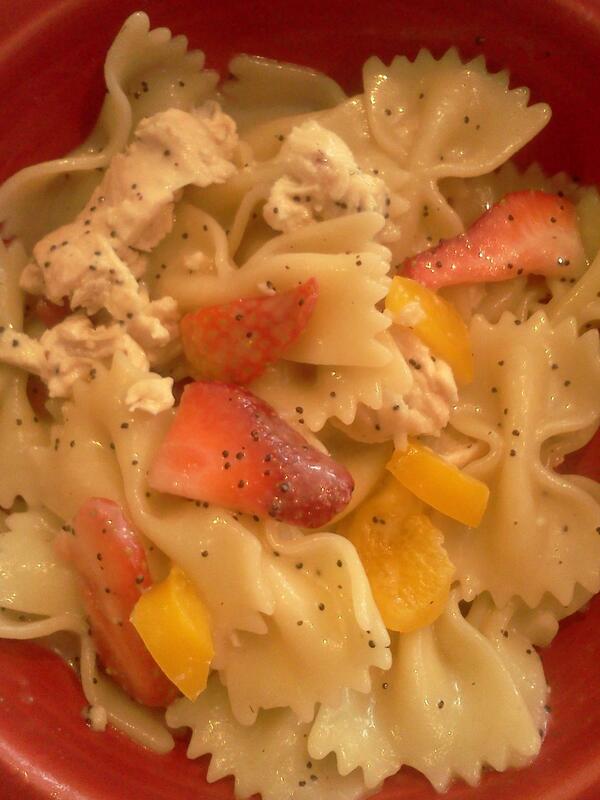 Mix pasta, strawberries, peppers and chicken. Cover with poppyseed dressing & serve. So simple! 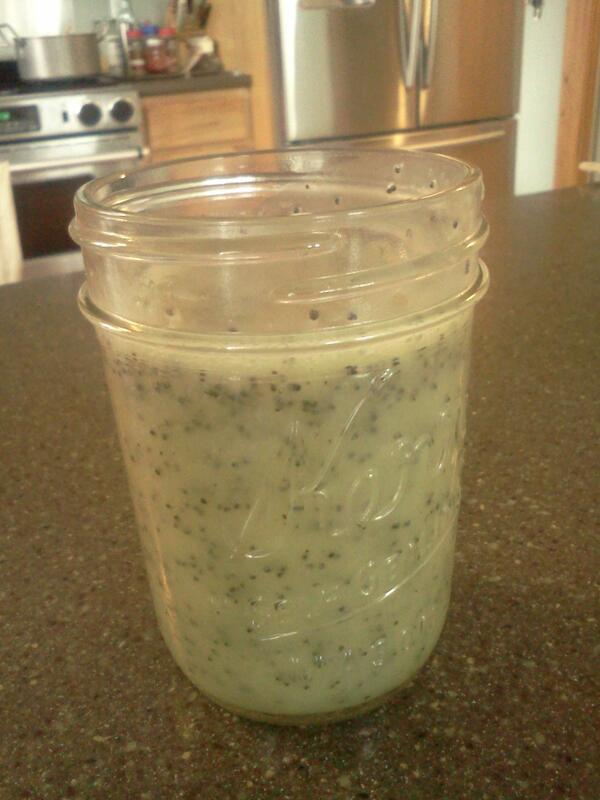 Put everything except poppyseeds into the blender and puree. Add poppyseeds, mix and serve! My cousins recipe - a must have for all camping trips! Mix everything together. Let the salad marinate for a few hours before serving. This marinated salad reminds me of summers at my grandma's cottage on Coldwater Lake. Grammy would always have this in the fridge waiting for us! Combine the drained veggies & the chopped veggies. Mix the sugar, oil, vinegar, salt & pepper. Pour over the salad. Let it stand overnight. Cook macaroni as directed; drain & cool. Stir together the macaroni, celery, carrots, onion & 5 eggs. Blend together, then fold into the macaroni salad. Garnish with paprika & the sliced egg. My kids call this Ugly Soup - they love it! In a 3 1/2 quart or larger crockpot combine the lentils, celery, carrots, onion, garlic and ham. Season with basil, thyme, oregano, the bay leaf and pepper. Stir in the chicken broth, water and tomato sauce. Cover and cook on Low all day. Discard the bay leaf before serving. Meagan's Tip - I usually use leftover ham or ham hocks, preferably from Sander's Meats in Custer! I once went to a potluck where someone had brought this delicious chili...and found out that it was actually my recipe that had made its way to California and back! I originally found this in Taste of Home magazine back in the 1990s. In a large saucepan, sauté chicken, onion & garlic powder in oil until chicken is no longer pink. Add beans, broth, chilies and seasonings. Bring to a boil. Reduce heat; simmer, uncovered, for 30 minutes. Remove from the heat; stir in sour cream and cream. LOWER FAT VERSION: Substitute light sour cream and milk or half & half.